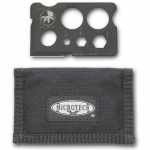 Microtech was established in 1994 and makes knives that are made in the USA. The pride themselves on machining most of their parts themselves. They make a variety of knives including fixed blades, folding knives, butterfly knives, and automatic knives. Most of their knives are tactical knives, with a focus on high quality blade steel and top notch fit and finish. 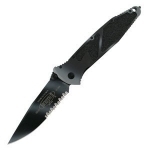 Below is a chart showing the best Microtech knives on the site as reviewed by multiple users. Keep in mind that there are many great Microtech knives out there, but if you can't decide on one after searching the site, choose one off this list and we are confident that you will be happy!